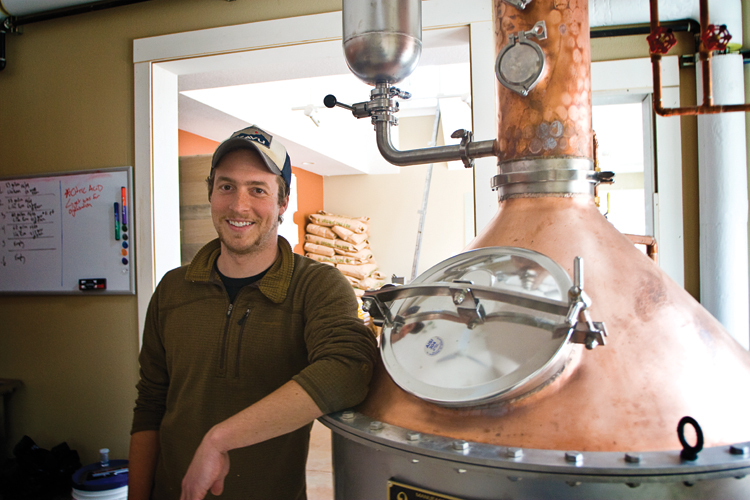 Mike Selberg, owner and alchemist at Cannon Beach Distillery. 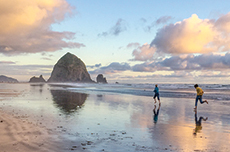 Not all of Cannon Beach's artists are found in the galleries. 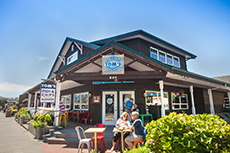 Talented chefs, hard-working fishermen, devoted bakers and others who pursue their crafts and passions in food and drink are part of the flavor of this beach town. 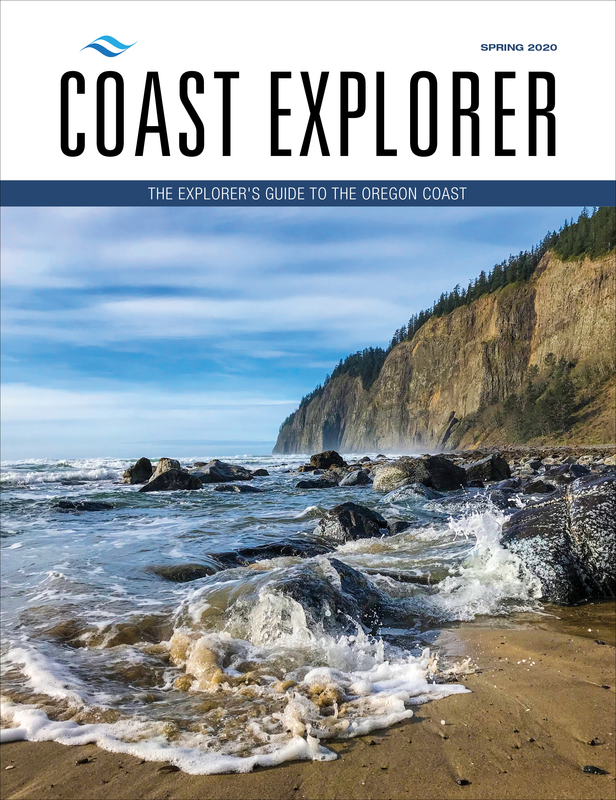 Here, we introduce you to some of the personalities who are truly responsible for the flavor of Cannon Beach and each of them shares their own tips for dining or imbibing in Cannon Beach. Mike Selberg, owner and alchemist, hovers lovingly as the latest batch of Lost Buoy Gin emerges from "Berny" the still, a marvel of oxidizing copper, moveable plates, knobs and levers. It's the steaming heart of Cannon Beach Distillery. Mike rubs a drop on his wrist to test the viscosity and volatility. "Distillation is a visceral affair, involving all the senses," he says. At 19, Mike was a Chem major studying distillation. In his down time, he was fermenting beer. These parallel passions fused when he started experimenting with spirits. "Whiskey is just beer you don't add hops to," he says. His laid-back charm and easy manners make it sound disarmingly simple. But there's nothing simple about the meticulous craft this scientist brings to his work. Mike's all about layered adventures in flavor. "Gin used to be something you disguised with tonic or a sugary mixer, but my gins are built to be savored for their own sake." From local, raw ingredients, Mike designs complex and distinctive gins with Asian-inspired botanicals, rums that would settle happily straight up or on the rocks and a Blue Agave spirit that would be wasted in a margarita. His much-anticipated whiskeys will debut at Cannon Beach's Stormy Weather Arts Festival in November. Mike Recommends: The Flatiron Steak with Jameson-Peppercorn Sauce at the Irish Table restaurant. For a libation, he suggests the Old Fashioned at the Cannon Beach Hardware Store and Public House. While you're there, try a "New Fashion," made with the Cannon Beach Distillery's very own Donlon Shanks Amber Rum. The streets are dark and parking plentiful when Dan Christensen dons his apron and sets about kneading, rolling, filling, glazing, chopping and baking mountains of cinnamon rolls, almond-crusted bear claws, ham and cheese croissants and loaf after loaf of Cannon Beach Bakery's famous Haystack Bread, known for its crusty finish. Dan rolls the pin with a couple of firm strokes, then folds the square foot of dough over his forearm, flips it, brushes it off, and rolls again. 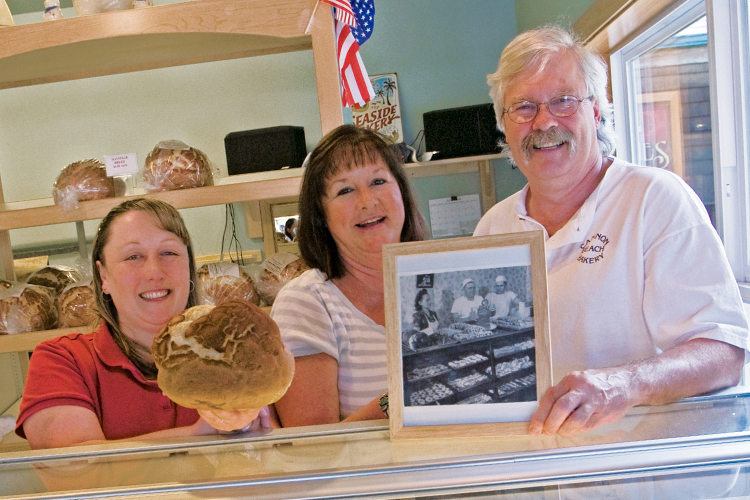 He recounts his grandparents' move from Denmark to Minnesota, then to Oregon where he apprenticed under his father in the family-owned bakery. "I was the middle child of seven kids," says Dan. "The boys trained in the kitchens and the girls served up front." Dan's grandkids have joined him by the roaring ovens, another generation studying traditional Danish techniques at the elbow of a master. 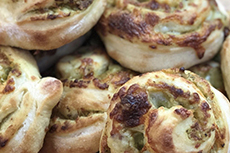 Everything Cannon Beach Bakery sells is made by hand, from scratch and is baked on site in the massive ovens behind the store. Bags of Pebernødder and a festive Julekage nestle quietly beside the more familiar glazed donuts, fruit-filled Danishes and Haystack loaves. By the time you roll out of bed and head down for your morning Danish, Dan is just turning in; another night of baking magic under his belt. Dan Recommends: The Dungeness Crab Mac and Cheese at the Wayfarer. For a relaxing beer, he recommends a trip to Tolovana, where the Warren House features a nice selection. Dr. Tim Krupa, Cannon Beach's own Ambassador of Chocolate, invites you to the dark side. "Dark chocolate's healthy," says Tim. A chiropractor by training, this foray into confectionery seems like a contradiction, until he starts talking. "Chocolate raises your serotonin levels. Take some before exams, you'll do better." 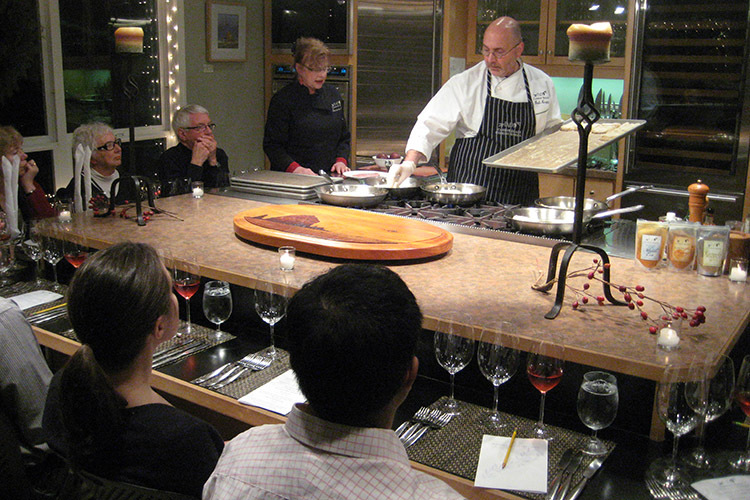 Tim and his staff are deeply schooled in the biochemistry, history and lore of chocolate. Drop by and chat about the Aztecs' use of chocolate as an aphrodisiac while sampling a dark chocolate bunny, cashew-cluster or lavender-infused truffle. "Chocolate's in my DNA," says Tim. "My father loved the dark, bittersweet varieties." The Chocolate Cafe is all about slowing down and savoring life. "There is a magical ambience here in Cannon Beach," he says. "The sand, the sea, the shore; all those negative ions from the sea are so good for you. If people want things fast, this is not the place to be." The Chocolate Cafe's famous chocolate shake is made with melted Brazilian chocolate, beaten slowly and gently until it's so thick it won't drip from an upturned shaker. No straws allowed; they bypass the taste buds on the tip of your tongue. Tim Recommends: The pulled pork sliders at Sweet Basil's Cafe, where Chef John Sowa emphasizes local, organic, wild and in-season ingredients. Fresh Willapa Bay and Goose Point oysters, wild Chinook salmon, smoked mussels, tiger prawns, shrimp, halibut, oysters, crab and breaded razors grace the display cases at Ecola Seafoods and proprietors Jay and Cindy Beckman know where every last one of them came from. Jay's been a commercial fisherman, and his own boss, since he was sixteen. He's out on his 44-foot trawler four days at a time, wrestling fish from the ocean. No nets, just a lone fisherman with a hook and line. He hardly sleeps, with the wind, the chop and things toppling in the pitch black. He knows where the catch is and when. "Salmon move closer to the shore in August. The Chinook are at the bottom of the ocean while the Coho ride high in the water. Fishing at fifty fathoms, I can target the Chinook." Jay heaves in a halibut from the frigid waters, cleans it carefully, packs it with ice and sets up for the next catch. When the hold's full, he heads home. What he doesn't sell on the dock goes directly to Ecola Seafoods. Fresh, smoked or canned, you're buying directly from the man who landed the fish. Jay and Cindy can tell you the provenance of everything they sell. 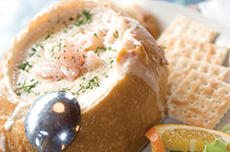 There's no middleman, so whether it's scallops smoked in-house, creamy chowder made from locally-sourced materials, battered halibut and chips or home-made salmon jerky, there isn't a fish that gets from the ocean to your table any faster. 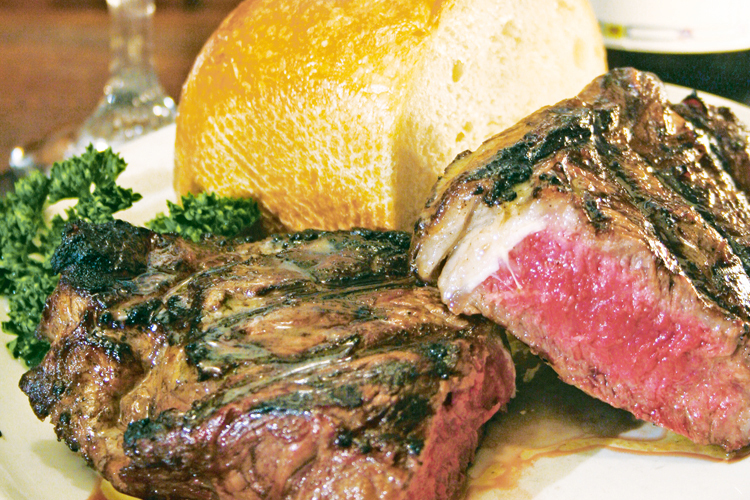 Jay Recommends: The steaks at the Driftwood Restaurant and the beer at Bill's Tavern & Brewhouse. Aaron Bedard loves his work and that love shines through his mouth-watering menus, meticulously-crafted dishes and the care he takes with every diner who walks through the doors of the Stephanie Inn dining room. Aaron's passion for fine food and impeccable service has deep roots. Long before he interned at the Stephanie, he worked in his father's restaurant. Now an Executive Chef, he still works the line. He loves the hands-on experience. "It's that sense of anticipation," he says. "It's not just that the short ribs are tender and flavorful, it's that you can taste the love, the effort, that went into making them." 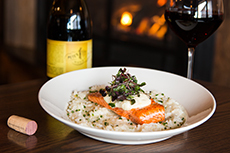 The seasonal King Salmon is his most popular dish. Aaron's signature twist involves soaking the salmon in a wet brine, cold smoking it on-site, then baking it, so it has both a deep, smoky flavor and buttery flakiness. The a la carte menu changes weekly and his four-course prix fixe menu daily. Sophisticated, romantic and indulgent, the dining room at the Stephanie Inn will leave you and your taste buds soothed, pampered, and blissfully satisfied. Aaron Recommends: The Lobster Ravioli at Newmans at 988. For libations, he suggests Castaways Restaurant & Bar that offers cocktails with original infusions, mixes and flavor profiles. 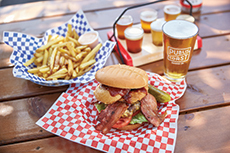 Pub food at its best when paired with award-winning micro-brews or house-made root beer. Family friendly eatery dishes up sandwiches and ice cream, patio seating and takeout available. 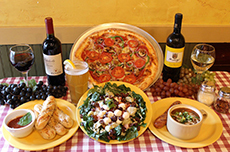 By the pie or by the slice, a truly gourmet meal crafted with the finest ingredients. 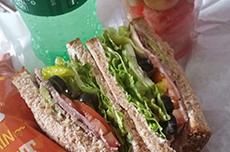 A local grocer and delicatessen serving made-to-order sandwiches, salads, sides and picnic items.